I am thrilled that you’re here! Whether you’re a reader, fellow writer or cancer survivor (or all three! ), it is a honor to connect with you. I am passionate about storytelling, which isn’t surprising since I grew up in a world surrounded by the incredible stories of my father, Louis L’Amour. My dad gave me the greatest gift; that of the love of language and storytelling, which opened up an entire universe of possibilities. I began spinning my own tales as soon as I could write. Over the course of my writing career, I discovered a passion for passing along the many lessons learned, much like my father did for me. It’s an honor to connect with so many inspired people – and so many unforgettable, meaningful stories. Cancer survivors all want to live and all want to keep their family life as normal as possible when faced with the staggering number of treatments, surgeries and tests. 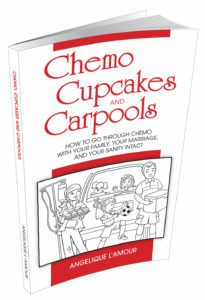 Chemo, Cupcakes and Carpools is a way to help parents deal with their lives and their kids through chemo and it’s aftermath. It is an honor to work with inspired writers as a teacher, mentor, and coach. Ready to bring your incredible story to life? Apply now. 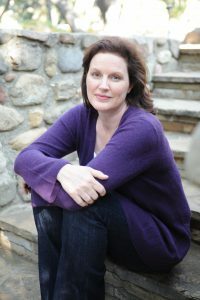 Find further information about books I have published and where to order or preorder upcoming titles as soon as they are available. Find out about upcoming speaking engagements and watch past interviews!